The Faculty of Fine Arts and Ocean Networks Canada at the University of Victoria in British Columbia, are sponsoring an Artist in Residence program. The concept strengthens connections between Art and Science to broaden and cross-fertilize perspectives and critical discourse on today’s major issues such as the environment, technology, oceans, cultural and biodiversity and healthy communities. This program is open to local, national and international applicants. 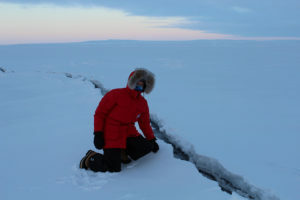 The Artist in Residence will interact with Fine Arts faculty members and scientists at Ocean Networks Canada as well as with other individuals using the world-leading ocean facilities to ignite cross-disciplinary exchanges. Open to artists working in any visual, written, musical or performance discipline, this residency is suitable for an early- or mid-career artist. Seafloor and Sediment in Motion. help envision the potential long-term impact of ocean changes on humanity. The residency period can start any time between May and December 2018 and last for up to eight months. A cost-of-living stipend of up to CAD $2000/month will be paid to the selected Artist. Following the residency, a public exhibit of the resulting art will be displayed, performed and promoted by ONC and the Faculty of Fine Arts. Please note: the application period closes on 27 April 2018. 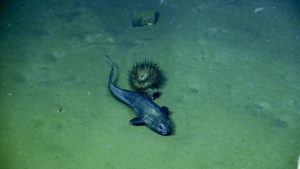 If interested, please send your application to corinnea@uvic.ca at Ocean Networks Canada with the subject line “Artist in Residence Ocean Program.” The application should include your CV, a concise portfolio of previous relevant artistic work, and a letter of motivation outlining your project proposal for the residency. Applications will be reviewed by representatives of Fine Arts and Ocean Networks Canada, and artists may be contacted for an interview or to supply further information. 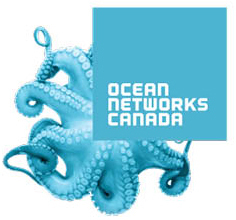 About Ocean Networks Canada: Established in 2007 as a major initiative of the University of Victoria, Ocean Networks Canada operates world-leading ocean observatories for the advancement of science and the benefit of Canada. 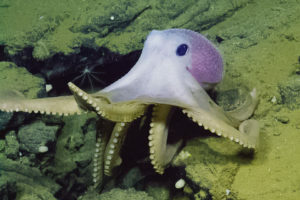 The observatories collect data on physical, chemical, biological, and geological aspects of the ocean over long time periods, supporting research on complex Earth processes in ways not previously possible. The observatories provide unique scientific and technical capabilities that permit researchers to operate instruments remotely and receive data at their home laboratories anywhere on the globe in real time. These facilities extend and complement other research platforms and programs, whether currently operating or planned for future deployment. About the Faculty of Fine Arts: With experiential learning at its core, Fine Arts provides the finest training and learning environment for artists, professionals, and students. Through our departments of Art History and Visual Studies, Theatre, Visual Arts, Writing and School of Music, we aspire to lead in arts-based research and creative activity and education in local, national, and global contexts. We integrate and advance creation and scholarship in the arts in a dynamic learning environment. As British Columbia’s only Faculty exclusively dedicated to the arts, Fine Arts is an extraordinary setting that supports new discoveries, interdisciplinary and diverse contributions to creativity, and the cultural experiences of the students and communities we serve.